In the plain blowback system, the bolt returns to the Firing position with relatively low velocity but with considerable kinetic energy and this energy is absorbed by impact before the next cycle starts. 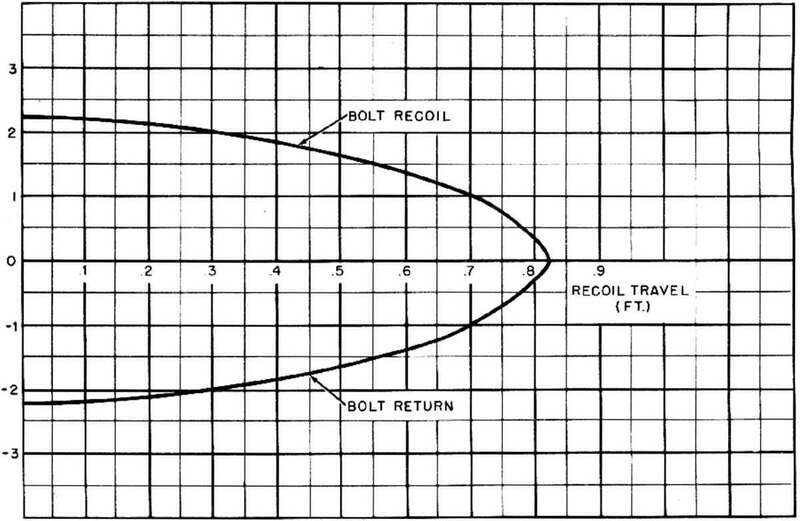 Since the bolt is stationary when the new round is fired, all of the explosive force of the round is effective in accelerating the bolt to the rear. As has been explained, this condition requires the use of an extremely heavy bolt in order to keep the bolt velocity within safe limits. A substantial saving in bolt weight and other advantages can be realized by making use of the kinetic energy of the returning bolt. Instead of permitting this energy to be dissipated by impact before the next round is fired, it is possible to time the ignition so that the new round is fired just before the bolt reaches its fully forward position. 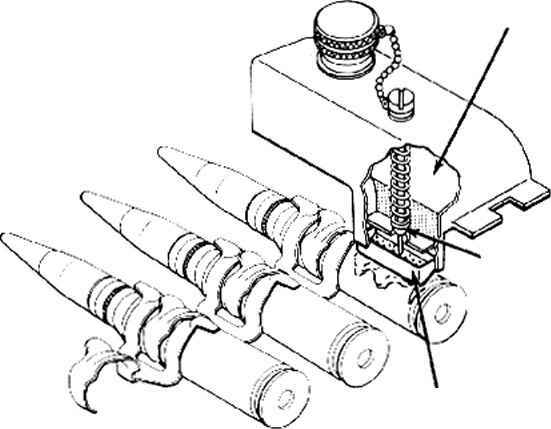 In this method of operation, known as 4'advanced primer ignition," the impulse of the propellant explosion must first slow and stop the returning bolt before it can propel the bolt to the rear. With this action, only a portion of the explosive impulse is effective in blowing back the bolt and the interval of time during which the pressure of the powder gases acts to produce a rearward acceleration of the bolt is also reduced. Both of these effects permit the use of a much lighter bolt and produce a condition in which higher bolt velocities are allowable. Thus, not only can the gun be lighter, but it is also possible to achieve a higher rate of fire. HOW ADVANCE PRIMER IGNITION IS A MECHANICAL SAFETY? What is blow back with Api in carbine machine gun? What is blow back with api principal in carbine machine gun in hindi?